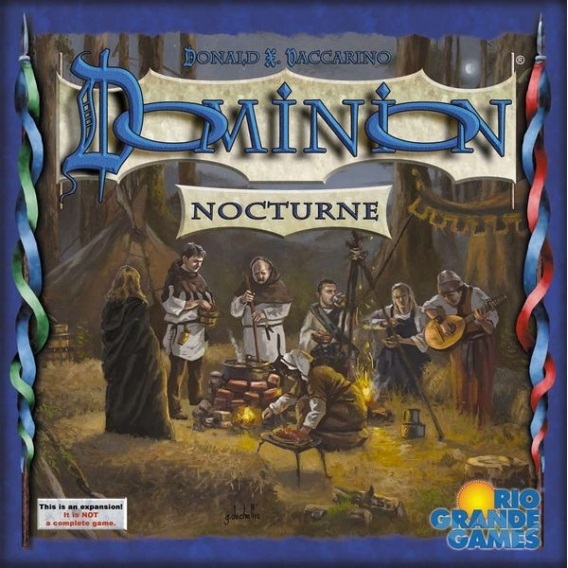 Dominion: Nocturne, the 11th expansion to Dominion, has 500 cards, with 33 new Kingdom cards. 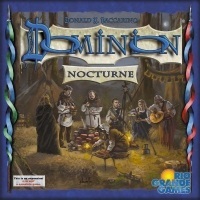 There are Night cards, which are played after the Buy phase; Heirlooms that replace starting Coppers; Fate and Doom cards that give out Boons and Hexes; and a variety of extra cards that other cards can provide. You've always been a night person; lately you've even considered becoming a vampire. There are a lot of advantages: you don't age; you don't have to see yourself in mirrors anymore; if someone asks you to do something, you can just turn into a bat, and then say, sorry, I'm a bat. There are probably some downsides though. You always think of the statue in the town square that came to life and now works as the tavern barmaid. The pedestal came to life too, so she has to hop around. The village blacksmith turns into a wolf whenever there's a full moon; when there's a crescent moon, he turns into a chihuahua. That's how this stuff goes sometimes. Still, when you breathe in the night air, you feel ready for anything. Uwaga! 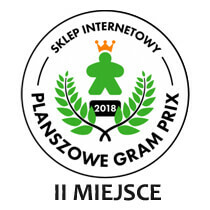 To nie jest samodzielna gra! Do rozgrywki wymagana jest podstawowa wersja gry: lub Dominion II Edycja (edycja polska).